The key catalogue of information on 'alien', or non-native, species in Europe has undergone a major update. The Delivering Alien Invasive Species Inventory for Europe (DAISIE) database provides policy-makers and other experts a comprehensive overview of which alien species are present in Europe and their consequences for the environment and society. The DAISIE online database, at www.europe-aliens.org, was relaunched on 13 September at the NEOBIOTA conference in Pontevedra in Spain. It contains details of over 12,000 alien species and plays an important role in tackling the threat of alien species within Europe. The Law Commission is seeking views on how wildlife law should be modernised and simplified and has launched a consultation, running until November. According to the commission the current law regulating wildlife is spread over a collection of Acts dating back to 1831, the original purpose of which of the law was to govern activities hunting, fishing and, of course, poaching. More recently that has expanded to the conservation specific species, ensuring the welfare of wildlife and now protecting local biodiversity from invasive species. The result, says the commission, is a legal landscape that is "out of date, confused and often contradictory". For example, the hunting, management and welfare of pheasants is governed by four separate statutes. With the country celebrating the success of the GB equestrian team in the Olympic Games in winning the Silver Medal, the RSPCA has reported a "fantastic response" to its appeal for people to come forward and foster young horses and ponies. Launched on 14 May, the aim of the Stable Future appeal was to find foster carers for young horses and ponies that had suffered neglect and cruelty until such time as they were ready to go to permanent new homes. Many of the 270 young ponies in the care of the RSPCA have found foster carers and at least 13 horses have already gone to their new homes. Statistics on the use of animals in scientific research in Great Britain have been published by the Home Office. 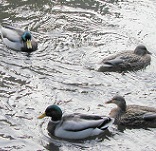 The document, Statistics of scientific procedures on living animals 2011, was compiled from returns provided by 100% of project licence holders and published on 10 July. The figures show that just over 3.79 million scientific procedures were started in Great Britain in 2011, an increase of 2% on 2010. The breeding of genetically modified animals and harmful mutants – mainly mice – remained stable, accounting for 1.62 million procedures. The Animals in Science Regulation Unit (ASRU) has also published its annual report for 2011. The report provides a collective account of the activities of the home office regulation of animal testing. In May three members of the Crawley and Horsham Hunt were convicted of illegal hunting – the first such convictions in the county. Andrew Phillis, Neill Millard and Rachel Holdsworth were convicted of hunting foxes with dogs on two occasions in January last year, during which they were videoed by hunt monitors. The video footage was seen during the trial. All three were fined – between £500 and £1,000 – and ordered to pay costs. Charges against a fourth accused, a joint master of the hunt, were dropped during the trial. The accused had denied they were chasing foxes, claiming they were trail hunting, but had denied the charges, saying they were out trail hunting ? following an artificially laid scent - and did not plan to hunt or kill any foxes. 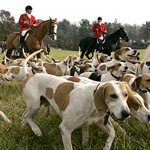 However, Crown Prosecutor Mark Bishop said: "The defendants claimed that the foxes seen on film being chased by the hunt's hounds were not being hunted intentionally and that the hounds were following an artificial scent.